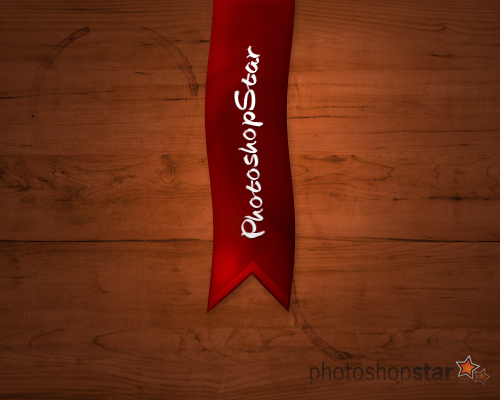 In this Photoshop tutorial I’m going to be teaching you how to design a somewhat realistic (sort of cartoon-themed) ribbon in Photoshop! I’m sure if you read this tutorial carefully, even the beginners will be able to understand and follow through until the end result. How’s that look? In my opinion, DeviantART is probably the best, since it has a very large selection of textures, not just wood textures. In the above image I’ve applied Filter > Render > Lightings effects with an Omni light type, to give it a little more interest. 🙂 Happy with your background? I hope so! Let’s move onto the next step. Ok, let’s start on the shape. What you might want to do before getting started is enabling the grid (View > Show > Grid) then modify the settings for it, (Edit > Preferences > Guides, Grids & Slices…) I recommend changing gridline to every 10 pixels with just 1 subdivision. Alright, make the shape. Get the Rectangular Marquee Tool out and make a long selection from the top to the lower middle area. Fill your selection with a dark-red gradient then deselect. The colors that I’ve used for my gradient are #9a0c03 to #6c0a00. After you’ve filled your selection with a gradient, make another triangular selection at the bottom of your ribbon, this will be the cut part. Making your selection will be easier if you have the grid enabled. Obviously after making your selection you should press delete to remove the selected area. Do you like the look of it so far? Let’s add a couple more effects to it anywho. Find and get out the Burn Tool, and set the settings to Shadows, 10%. Brush lightly over your ribbon to give it a little more effect. Afterwards, get out the Dodge Tool and set the settings to Highlights and 50%. 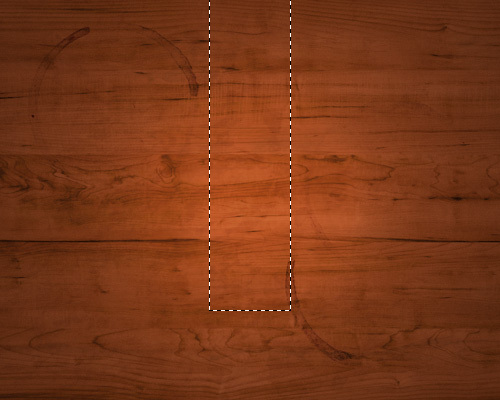 Repeat what you did with the burn tool, but in different places to give it more depth. Looks a bit better now, right? 🙂 We’re just about done here, but I think we need to add a few finishing touches! Create a new layer, reset your colors to black and white (press D) then apply Filter > Render > Clouds. Invert your selection and press delete, this will leave your chrome texture inside of the ribbon. Change the layer mode for your layer to Multiply and lower the opacity to around 20-30%. If yours didn’t come out very well, then you don’t have to worry about it–the dodging and burning should be sufficient. After doing all of this, we can add some nice glossy-style highlights to the banner, but this is all optional. Fill your new selection with a very dark gradient (black to transparent gradient) then change the layer mode to either Overlay or Soft Light, and lower the opacity to around 20-40%. Duplicate your shadow layer, invert it (ctrl+I) and move it back down around 8-10 pixels. Cool effect? Yes? No? Maybe? Alright, we have to finish off this step by adding text, so let’s do it! Get out the Horizontal Type Tool and write out your text horizontally… as the tool states. Ok, now rotate your text 90 degrees CCW and move it into place. I finished off by applying a simple drop shadow layer style. For the finishing touches I applied a distort filter to the overall ribbon/banner, then merged the whole thing and applied a few light filter effects. Firstly you’ll have to merge all of your ribbon layers together, do this by putting them all in a group, then selecting the group and pressing CTRL+G. After merging, go to Filter > Distort > Wave or another filter of your choice. For the Wave distort filter, you will have to mess around with the settings to get an effect that is pleasing. I hope you enjoyed this tutorial! Please leave a comment if you need help or anything of the sort.